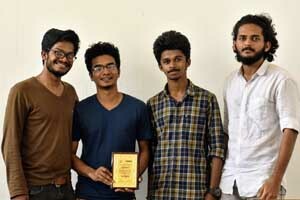 The 13th National Students convention of SAE India emerged out as a great event which was held on 23rd and 24th of March 2019 at Bannari Amman Institute of Technology, Erode. 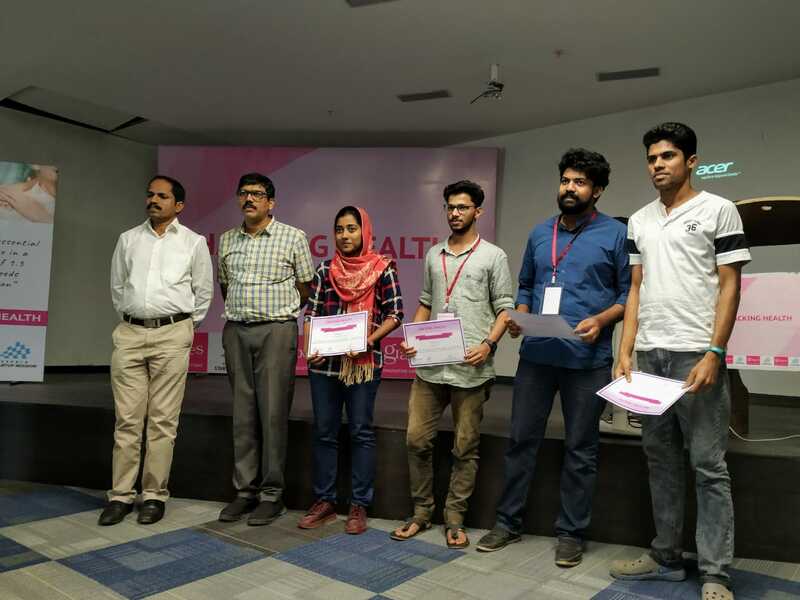 Kerala Startup Mission along with Grapes Innovative Solutions conducted “Hacking Health” on 19th and 20th January 2019. 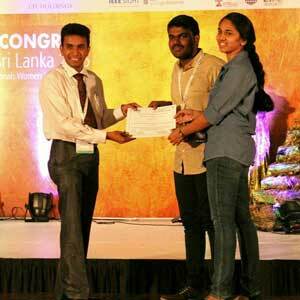 Our students, Mr. Sawad KT ( S3 Civil) and Ms. Shahana Beegam S (S3 EEE) became the runners up of the event. Congratulations Mr. Anuroop R. S5 A Mechanical Engg. 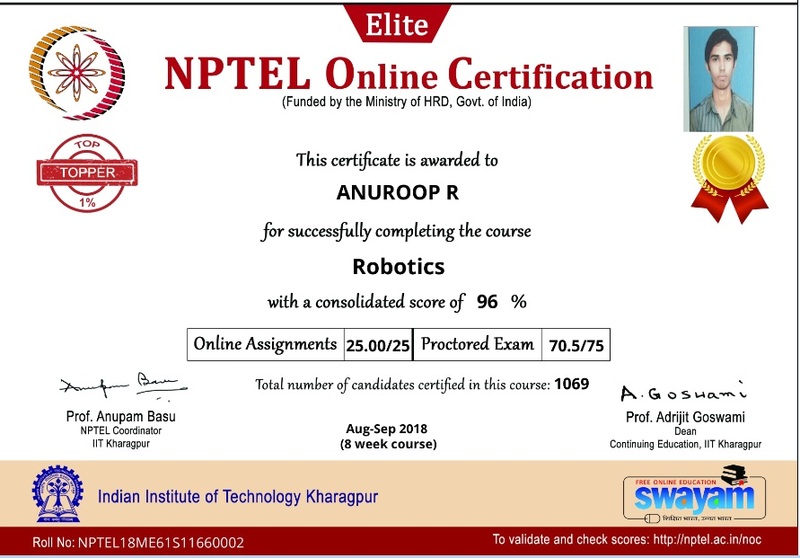 Anuroop R, topper of NPTEL online course. 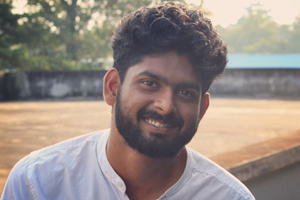 Mr. Lakshad K Suresh of Final Year Electrical and Electronics Engineering, Selected as the ISTE Student of the Year 2017. 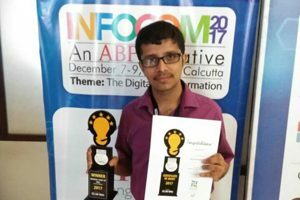 Mr. Shyam Pradeep of final year EEE (company – Infusory designs has won Infocom Future Leadership Award(IFLA 2017) in the “Original Startup Ideas – Students” category for their idea “stray dog repellant stick”. 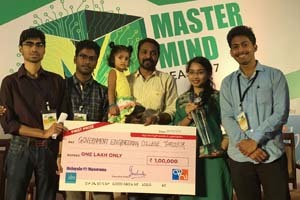 Theirs is one among 5 ideas selected in student category. 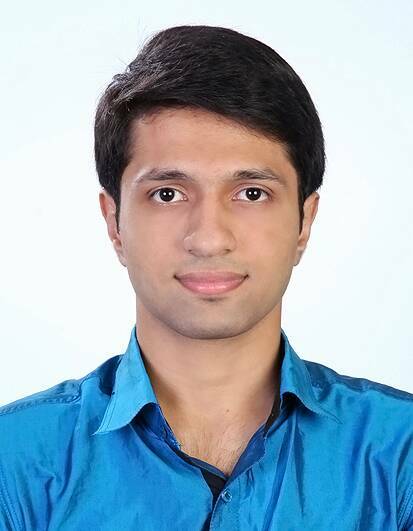 The team also includes Fasil K.V (S7 ECE) and Aadhil Khan (S3 PE). Sri. 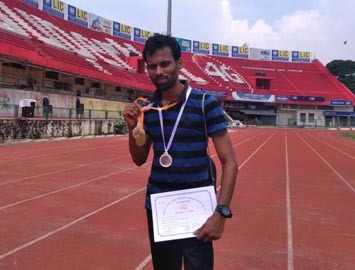 Midhun, Clerk, Administrative Office won Mr. Midhun, Won Gold in 110m Hurdles, Silver in 4x100M & 4x400M relays and Bronze in 100M race In all Kerala Civil Service Meet. Srilekshmi M. (First Semester M.Tech Process Control, Department of Chemical Engineering) has secured First price in the World Space Week 2017 celebrations – Open Innovation Contest organized by Vikram Sarabhai Space Centre, Thiruvananthapuram. 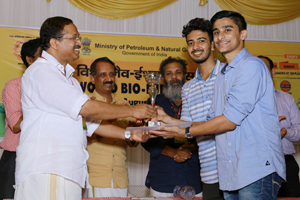 Congratulations Mr. Jacob Cherian and Akash K A, Chemical Engg. 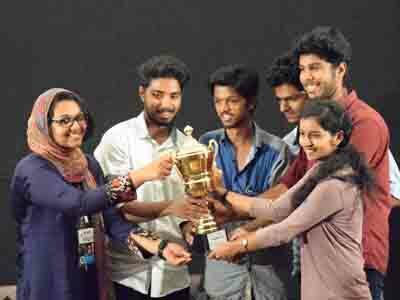 ISTE Students’ Chapter GEC got overall championship in the State Annual Convention held at NIT Calicut. 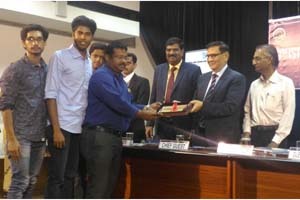 Congratulations Mr. Jesna, M Tech WRH, Civil Engg. 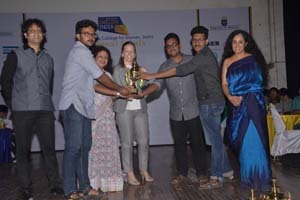 GEC Thrissur won the ISTE Best students’ chapter award in the Kerala section for the year 2016 during the National Annual Students’ Convention held at Vellore Institute of Technology on 15th October 2016. 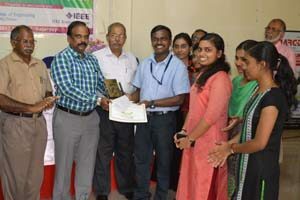 Arya Murali, third year student of Electronics and Communication Department is selected as a WeTech Qualcomm Global Scholar supported by Institute of International Education and is one of the 18 girls from India to receive a scholarship of 5000$ and 6 month one-on-one mentor-ship by professionals. 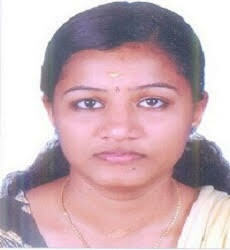 She also leads the Google Women Techmakers,Cochin initiative which is a community that fosters Women in Tech. 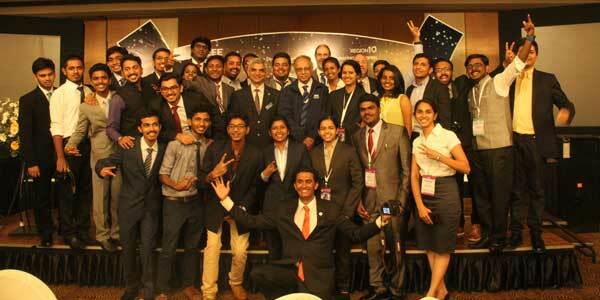 The IEEE Region 10 Student, Young Professional, WIE Congress is the flagship event of the IEEE Asia Pacific region. This biannual event this year was hosted by the IEEE Srilanka Section from the 9th to the 12th of July 2015 at Hotel Galadari, Colombo. The selection of delegates for this congress is based entirely on the personnel and the activities volunteered by the IEEE members. 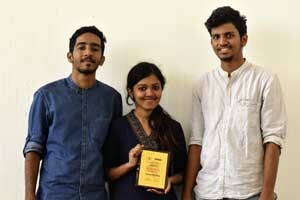 It is therefore indeed a matter of great pride that 3 students [Pooja Suresh (S7 ECE), Sreelaxmi CH (S7 ECE), Sarath Chand TP (S7 EEE)] from the IEEE SB GEC Thrissur were selected out of the chosen 25 delegates from Kerala section. 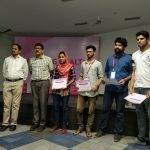 Moreover, the Region 10 Student Activity Committee had requested all participating Student Branches to submit their activity reports from which a chosen 20 would get a chance to showcase their achievements in the congress. 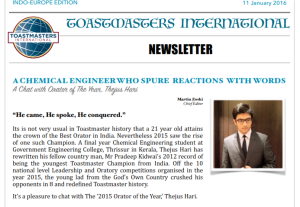 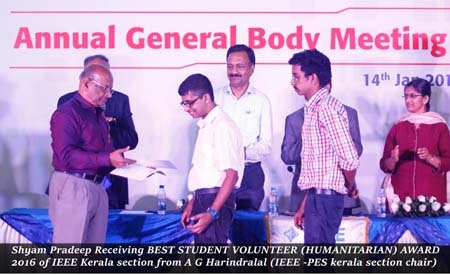 The IEEE SB GEC Thrissur proved its mettle by being selected for the same for their innovative ideas and activities. 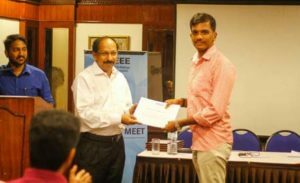 IEEE SB Chairperson, Sarath Chand TP made us proud by presenting the poster which was evaluated by IEEE Vice President Mr. Lawrence Wong and IEEE IAS Chapters and Membership Department Chair Mr. Peter Magyar. 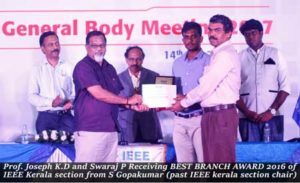 The IEEE SB of GEC Thrissur was also awarded a certificate of representation at the closing ceremony for the poster presentation by the Sri Lanka section chair Dr. Ruwan Ranaweera.